Tolls Roads in Australia- All Europcar vehicles are included in a Roads and Maritime Services (ABN 76 236 371 088) (RMS) E-Toll solution for Your convenience. At the time of rental of Your vehicle from Europcar You accept, and agree to be bound by,the Roads and Maritime Services Terms and Conditions (comprising the RMS E-Toll Facility Terms and Conditions and the RMS Privacy Consent and Agreement) including a binding obligation to pay RMS a service fee of $3.30 (incl. GST) for each calendar day on which You use a toll road in addition to the payment to RMS of the applicable tolls. Delivery and Collection Terms - Where the Renter asks Europcar and Europcar agrees to deliver the vehicle or to collect the vehicle, the Renter may have to pay additional charges and follow additional instructions. The Renter must check at the time of reservation. When the Renter returns the vehicle, or when Europcar has agreed the Renter shall do so, the Renter leaves the vehicle for collection by Europcar, the Renter must complete the details of the date and time of return, the mileage and fuel gauge reading and other information shown on the rental document wallet. The Renter must also do anything else, which Europcar requests as a condition of agreeing to collect the vehicle. ECMR to CDAR, CDAR to IDAR, IDAR to SDAR, SDAR to FDAR (maximum upgrade to SDAR only). Upgrades are not guaranteed, and are subject to availability. Upgrades not applicable to Specialty or Prestige Vehicles. Privilege members that have been tier-matched through the Velocity Frequent Flyer Program are entitled to the free weekend benefit as per Privilege General Terms and Conditions, however, the free weekend can be booked via email privilege.program@europcar.com. 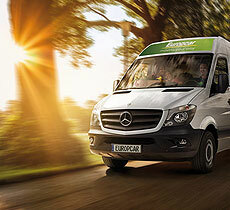 Europcar ID, pick up and drop off, dates, time and location must be provided in the email upon the request. Confiscation, theft or accident - the Renter agrees to inform Europcar, within 24 hours, of any accident, theft or fire involving the Vehicle, and to inform the police authorities immediately of any bodily injuries, theft, vandalism or suspicious fire. In case of confiscation of the Vehicle, further to any offence committed by the Renter of the Vehicle, Europcar reserves the right to charge the Renter with the total amount of the expenses that Europcar paid to recover the Vehicle. Applicable law and competent court - These terms shall be construed in accordance with the laws of the country where Europcar is situated and Europcar and the Renter both submit to the exclusive jurisdiction of the Courts of Brussels. Credit card processing - At time of rental, a deposit corresponding to the estimated amount of the rental price must be charged on the credit card of the Renter The balance must be paid upon return of the Vehicle. Where the rental fee is credited according to a contractual agreement, then it is due 14 days after the vehicle has been returned back. After arrears have commenced, for every reminder a fee of € 2.50 will be charged. If the Renter is in arrears, the late payment interest rate is 3% above the European Central Bank discount rate, but at least 6%, annually. The Renter is allowed to prove that damages due to arrears have been lower. If arrears on the part of the Renter necessitate commissioning a collection agency, then the Renter must bear the costs thus incurred. Maintenance/Mechanical problems -the Renter is obliged, at the expiry of the rental period, to return the Vehicle to the agreed venue during Europcar's business hours. The kilometre price is calculated according to the odometer position from rental station to return station. If the Odometer fails, then the calculation is made according to the roadmap distance plus 10%, but at least 100 km per day, unless the Renter can prove less kilometres were driven. Confiscation, theft or accident - the Renter must notify the police immediately after an accident, fire, theft, damage caused by animals or other damages. The same applies in the event of accidents caused by the driver without the involvement of third parties. Adversarial claims may not be recognised. The Renter must immediately submit a detailed written report with the submission of a sketch to Europcar, even in cases of minor damages. The accident report must, in particular, contain the name and address of persons involved and of any witnesses as well as the official registration plates of the vehicles involved. a. the Renter has no general forum of jurisdiction within the country or moved his/her residence or habitual domicile abroad after conclusion of the agreement or if the Renter's residence or habitual domicile is unknown at the time the suit is brought. b. the Renter is a fully qualified merchant or a person equated therewith under Art. 38. para 1 of the German Civil Procedure Code. In the event of accidental damages, loss, theft or improper use of the Vehicle or an infringement of the contractual duties according to the rental agreement, the Renter is liable for the repair costs or in the event of a total loss the replacement value of the Vehicle less the residual value, where the Renter responsible for the damage. In addition, the Renter shall also reimburse possibly incurred consequential losses, in particular reduction in the value, towing costs, expert fees and a lump sum for the administrative expenses. Where a liability exemption is agreed against payment of an additional charge, Europcar exempts the Renter in accordance with the principles of a fully comprehensive insurance policy with the following excess for damage to the Vehicle. The excess for cars for each damage is EUR 340.00 for upper middle class but EUR 520.00 for upper middle class vehicles (e.g. BMW 523i), for luxury class vehicles (e.g. Audi A6), mini cans (e.g. VW Sharan) as well as in all cases for renter below age 23 (except for deputy company drivers and vehicle replacement- or road assistance rents). For vans up to category 4, the excess payments amounts EUR 520.00, for category 5 (e.g. MAN 8.185) are EUR 800.00 per damage. A list of the excess payments for the respective vehicles is available at the place of the closing of the contract. This excess only applies where no alternative individual agreement has been made. The liability waiver does not provide an exemption from the obligations according to the rental agreement. The Renter is also fully liable in the event of an infringement to the contractual conditions, in particular for losses that arise in the event of use by an unauthorised driver or for a prohibited purpose. If the Renter shall have fled the scene of an accident or has infringed against his obligation, the Renter is also fully liable unless the infringement has no affect on determining the loss. In addition, the Renter is fully liable in the event of causing the loss deliberately or gross negligens, in particular being unfit to drive due to the consumption of alcohol as well as for losses that are caused by cargo or by improper operation (e.g. filling up with the wrong type of fuel). Regarding comprehensive coverage ( exclusive of collision damage) , the Renter is liable in particular for damages to glass and damages caused by wild animals, fire and theft with an excess of EUR 160.00 per loss. In all other cases the statutory liability shall apply. Otherwise, legislative provisions remain applicable. Europcar shall be liable to the Renter for damages, limited to ten times the amount of the agreed net rent, in the event of delay in performance or impossibility to perform for which Europcar is responsible. Where the accident was reported to the police, any claims for damages made by Europcar against the Renter shall only become due once Europcar has had the opportunity to peruse the records of investigation. The term of limitation begins six months at the latest after the return of the Vehicle. When such records become available Europcar shall immediately advise the Renter of the date they were produced to them. Availability of the Ready Terminal will be checked by the Renter with Europcar at the time of reservation. If a Ready Terminal is not available, the Privilege Service will be processed at the Europcar counter. Ready Terminal, the Renter must show his / her driving licence at the Europcar counter. The Renter will confirm unchanged driving licence status at every subsequent rental. The Renter will immediately notify Europcar of any change of driving licence status and/or personal data. Should the Renter violate one of the obligations cited above, then the Renter is liable to Europcar for all disadvantages and damages stemming there from and will hold Europcar harmless against all claims by third parties, in particular against recourse claims of the liability insurer. The rental agreement as printed by the Ready Terminal comes into force with the Renter whose card is inserted into the Ready Terminal, when the car keys are delivered for the Vehicle for which the car keys as provided by the Ready Terminal are intended, at the rate agreed for said vehicle and for the rental period as validated in the Ready Terminal. Additionally, the General Rental Conditions of Europcar as in force at time of conclusion of the rental agreement shall apply. The Renter authorises Europcar to collect all receivables arising out of the rental agreement, including his/her own risk in the event of an accident caused by him/her by his/her own fault, via the card as used by the Renter for the Ready Terminal transaction. The Renter agrees to settle all claims of Europcar out of the rental agreement via the Ready Terminal which has been concluded by using a Privilege Charge card or a credit card accepted by Europcar, whether the Customer himself/herself or an unauthorised third party, who was not allowed to use such card, has used the said card for renting via the Ready Terminal. The Renter will not be liable for the costs incurred by any wrongful use of the Europcar Privilege Charge card, if the Renter has informed Europcar of the loss of his/her Privilege Charge card in good time so that the Europcar card should have been blocked by Europcar before its wrongful use. When driving in Italy, The Renter remains totally responsible in the event of theft or conversion of vehicles from Full-size, Premium, Luxury, Special, Convertible cars and SDMR Categories, without possibility for the Renter to take the theft coverage. In the event the Vehicle is stolen and the Renter does not return the keys, Europcar may require the payment of a sum amounting to 180 days of rental ("Airportdrive" public tariff in force) and a the cost of full fuel tank, that in any event shall not exceed the market value of the Vehicle at the time of the event. The restriction or exclusion of liability (TW, CDW) will not be applied in case of deceit or gross negligence. Furthermore, the agreement known as TW, will not apply to, and will therefore not exclude the Renter's liability for, any partial or total thefts that occur in the Campania and Puglia regions which are considered to be at high risk of theft. If the renter fails to send the original report, the restriction or exclusion of liability (TW, CDW) provided in the contract will not be applied. In the event the Vehicle is stolen and you do not return the keys, Europcar may require the payment of a sum amounting to 180 days of rental ("Airport drive" public tariff in force) and the cost of a full fuel tank, that in any event shall not exceed the market value of the Vehicle at the time of the event. Liability exclusion for damages to the hired vehicle (known as "CDW") does not work with flats as well ad damages camber, tarpaulin and tyres except for simple flats as well as damages caused by a wrong filling-up of the tank. These terms shall be construed in accordance with the Luxembourg law and Europcar and the Renter both submit to the exclusive jurisdiction of the courts of Luxembourg. Unless expressly agreed upon by Europcar, the Vehicle may only be used within the countries of the European Union. If the Vehicle is involved in a road accident, the Renter must take all measures which are necessary to determine the facts of the accident including a declaration to the police, the notation of the details of any other vehicles which may have been involved in the accident, the notation of names and persons or/and addresses of persons involved and possibly of witnesses as well as setting up of drawings of the accident, etc. The Renter must communicate all this information to Europcar. Without the express consent of Europcar, the Renter is not authorised to recognize any claim of a third party as being founded or to accept the payment of damages, etc. If the Vehicle is no longer fit for driving (as a result or an accident or otherwise) the Renter has no right of free transportation from the place where the damage or accident occurred. Europcar is not obliged to put a vehicle at the disposal or to pay damages to the Renter because of any delay which the Renter may have occurred as result of the rental thereof. The Vehicle rented through Luxembourg is covered by civil liability insurance pursuant to general conditions approved by governmental decree. The guaranty of the insurance company may be limited in certain cases. Damages to goods as a result of fire or explosion whether or not resulting from a road accident are insured up to a level of 1.239.467,62 Eur. Where Europcar has authorised the Renter to drive the Vehicle outside of Luxembourg, the civil liability insurance is guaranteed only for those countries which are listed on the green insurance card. In the event of damage to the Vehicle, the Renter will incurr, without having regard to the question of liability, a waivable of 1.200.- Eur for cars of the categories A,B,C,D,G and K. For all the other categories of vehicles the waivable amount is 1.650.- Eur. These amounts are payable at the time and where the Vehicle is returned. For damages exceeding the above amounts, Europcar shall accept payment therefore to the extent that the insurance covers the damage. The Renter, disregarding any question of liability must pay any damages not covered by the insurance, in particular in the event of damages which occurred outside of Luxembourg including the fees resulting from the transportation of the Vehicle to the place where it is being repaired. The Renter must also pay any damages to the third parties which are not covered by the liability insurance. In the following cases, the Renter must pay the entire damage: - if at the time the Vehicle is returned to Europcar, the Renter does not remit a duly filled-in declaration of accident, - if the Renter does not observe any of the conditions relating to the use or sublease of the Vehicle as set out in these conditions, - where the time to return the Vehicle has been exceeded more than 24 hours as per the time set out in the rental contract. The Renter is obliged, at the expiry of the rental period, to return the Vehicle to the agreed venue during Europcar's business hours. The kilometre price is calculated according to the odometer position from rental station to return station. If the odometer fails, then the calculation is made according to the roadmap distance plus 10 %, but at least 100 km per day, unless the Renter can prove that less kilometres were driven. Insurance - The Damage Liability Fee (DLF) shown in the Rental Agreement must be paid if there is Damage or Third Party Loss. The DLF shown in the Rental Agreement is payable for each separate event and whether the Renter is at fault or not. The Rental Contract provides no cover for personal property owned by the Renter, any unauthorised driver or any passenger. If the Renter or any driver breaches the rental terms in the rental contract, neither the DLF nor Cover Products provide cover and the Renter and any driver is liable for damage, repossession and recovery fees, assessing fees, roadside assistance and any administration and legal costs of recovery. Contractual guarantees - The TW/TP Policy does not apply in New Zealand. Delivery and Collection Terms - Where the Renter asks Europcar and Europcar agrees to deliver the vehicle or to collect the vehicle, the Renter may have to pay additional charges and follow additional instructions. The Renter must check at the time of reservation. When the Renter returns the vehicle, or when Europcar has agreed the Renter shall do so, the Renter leaves the vehicle for collection by Europcar, the Renter must complete the details of the date and time of return, the mileage and fuel gauge reading and other information shown on the rental document wallet. The Renter must also do anything else, which Europcar requests as a condition of agreeing to collect the vehicle. ToMyDoor service is not available in New Zealand. ECMR to CDAR, CDAR to IDAR, IDAR to SDAR, SDAR to FDAR (maximum upgrade to FDAR only). Applicable law and Competent Court - These Terms and Conditions have been issued under Portuguese law and are accessible on www.europcar.com hosted on Portuguese territory. Portuguese law is applicable and the Lisbon Courts have jurisdiction, to the extent provided for under article 17 of the Council Regulation (EC) No 44/2001. Privilege: in Portugal, the Privilege member will have to sign his/her rental agreement at counter as electronic signature is not legally recognized as valid. Use of the Vehicle - The Renter expressly agrees, in accordance with Spanish Law 17/2005, of 19th July, to identify the driver of the Vehicle at all times when required by Europcar for the purposes of fine notifications or administrative penalties. In the event that, for reasons attributable to the Renter and, when requested by a competent authority, Europcar cannot adequately identify the driver of a Vehicle for the purposes of fine notifications or penalties, the Renter shall be liable for the payment of the fine or penalty issued to Europcar as a result of the failure to identify or the incorrect identification of the driver of the Vehicle in the terms indicated above. In such cases, Europcar shall charge the Renter, who accepts, the amount of the fine or penalty concerned. Insurance - All the Vehicles in Europcar's fleet are insured against Bodily Injury and/or Property Damage that the Renter might inflict on a third party as a result of an accident involving the Vehicle in accordance with the Legislative Royal Decree 8/2004, of 29th October, passing the Law on Civil Mandatory Insurance for Vehicles. The amounts for such liability cover are available on request in the country of rental. In particular, the Renter must comply with the rule concerning permitted destinations, as set out in Article "use of the vehicle" above, in order to have the full benefit of the insurance provisions. Data protection - According to the provisions of the Spanish Organic Law 15/1999 on the Personal Data Protection and the Law 34/2002 , on Information Society Services and e-commerce, both in force, EUROPCAR IB, S.A , a Company existing under the Laws of Spain, with its registered address in Avda. del Partenón, 16-18, 28042 Madrid (Spain) hereby inform the Renter that his/her personal data will be included in a file held under the responsibility of this Company, to provide services regarding to this contract as well as : a) for statistical, promotional, mailing and commercial information requirements ;b) for debt recovery purposes; c) for undertaking quality control studies or satisfaction surveys and d) for sending information by any means, including electronic mail or equivalent means, about EUROPCAR products and services or complementary products/services. In the case of commercial communications by email, or equivalent means, the fact that the costumer has provided EUROPCAR IB, S.A with his data is equivalent to providing his express authorisation for sending advertising and publicity material via said means. The Renter may revoke his consent for receiving the aforementioned information by electronic mail, or equivalent electronic means, by sending a notification to that effect to the following address: marketing.es@mail.europcar.com. This notification must be accompanied by evidence which proves the Renter's identity. Europcar is an international company which possesses data banks in various countries. To facilitate the booking and/or rentals process, EUROPCAR IB, S.A may need to transfer the personal data to its data banks around the world or to franchisees or external partners with the aim to complete and improve rental car services. If the level of personal data protection in a country is not adequate, EUROPCAR ensures that the data transferred to this country is sufficiently protected. In this aspect, we inform the Renter who hereby authorises EUROPCAR IB, S.A, the collector of data, to make available said personal data only for the purposes above mentioned. EUROPCAR IB, S.A hereby informs the Renter that the collection of such data is not compulsory for the services to be provided. However, not filling in said data may prevent EUROPCAR IB, S.A from providing all those services that are associated with said data, excluding EUROPCAR IB, S.A from all liability for the non provision or incomplete provision of these services. The Renter is hereby informed of his/her right to access, rectify, cancel and oppose the data by writing to EUROPCAR IB, S.A, Avda. del Partenón, 16-18, 28042 Madrid (Spain) to the attention of "Marketing Department". The Renter hereby agrees to respond to and settle any notice or proceedings received in respect of any offence committed under the Road Traffic Acts during the rental period and any other relevant loss in respect of the Vehicle and its use during the rental period which results in the imposition of fixed penalties or excess charges and to indemnify Europcar against any liabilities or expenses incurred hereunder. If the rented Vehicle is seized by Customs and Excise and a charge is payable to them, the Renter will be liable for all charges and will be billed directly by Customs and Excise. Europcar does not take responsibility for this or any costs relating to this. The Third Party Cover ("TPC") which Europcar provides to the Renter (in accordance with the requirements of the Road Traffic Act 1998) gives the Renter unlimited cover against claims relating to bodily injury or death arising from the use of the vehicle, together with £250,000 cover for property damage. Rates that include Europcar Liability Insurance are only available to renters between the ages of 23 and 75 years (74 and 364 days). The Renter can arrange his / her own fully comprehensive insurance but the Renter must obtain Europcar prior permission in writing first and the Renter must provide the Europcar with a valid cover note before the rental commences. 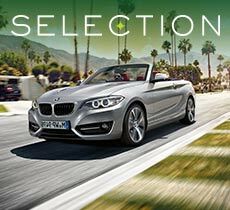 Full details are available from the Head office of Europcar. 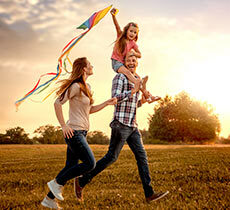 All Europcar's charges are stated exclusive of Value Added Tax. Europcar will charge interest on any amounts the Renter does not pay Europcar on time at 15% per annum. The Renter will also have to pay the losses and costs Europcar runs up whilst Europcar is preparing, carrying out or trying to enforce these terms. The amount of the requested credit card authorisation will comprise the estimated amount of the rental with an additional amount of £ 150. If the Vehicle or any of its parts or accessories are stolen or damaged, by a criminal act or if it is involved in an accident in which someone is injured, the Renter must immediately contact the local Police to report the incident. The Renter must then call the rental station from which the Vehicle was rented and report the incident within twenty-four hours and give Europcar the police details and any other information Europcar asks for. The Renter must also call the rental station from which the vehicle was rented within 24 hours to report any other incident in which the vehicle is damaged. If following any incident the Vehicle is unroadworthy or dangerous it must not be used. - Take the names, addresses and telephone numbers of all witnesses when relevant; - Avoid saying or doing anything which admits the accident was the Renter's fault; - Send to Europcar all papers and documents the Renter receives about the accident or damage (including copies of any court papers and any legal documents); - Fill in an Europcar Motor Accident Report Form, sign it and send it to Europcar within 48 hours of the loss or damage otherwise the insurers may refuse to consider the claim; - Co-operate fully with Europcar, the insurers and anyone else Europcar, or the insurers appoint. The Renter must allow Europcar or the insurers or anyone else the insurers appoint to take legal action and or to enforce legal rights in the Renter's name. The Renter must do anything else which Europcar, or the insurers think is reasonably necessary to help Europcar or the insurers enforce Europcar's or the insurers' rights for loss or damage to the vehicle, its parts and accessories while the Renter was renting it. If the Renter receives any money in respect of loss or damage to the vehicle and / or its parts and accessories the Renter must pay this to Europcar and until the Renter does, hold it in trust for Europcar. 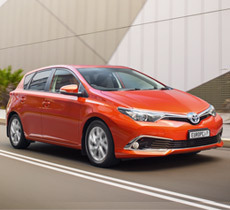 Where the Renter asks Europcar and Europcar agrees to deliver the Vehicle or to collect the Vehicle, the Renter may have to pay additional charges and follow additional instructions. The Renter must check at the time of reservation. When the Renter returns the Vehicle, or when Europcar has agreed the Renter shall do so, the Renter leaves the Vehicle for collection by Europcar, the Renter must complete the details of the date and time of return, the mileage and fuel gauge reading and other information shown on the rental document wallet. The Renter must also do anything else, which Europcar requests as a condition of agreeing to collect the Vehicle. The Renter must return the Vehicle immediately if Europcar asks the Renter to do so. In the event the Vehicle is not delivered to Europcar upon request, the Renter hereby authorises Europcar to enter the Renter's premises and to do any and all other things necessary to repossess the Vehicle. Any costs associated with such repossession shall be for the account of the Renter. Europcar may repossess any vehicle without notice or liability where Europcar deems that such repossession is necessary for its own protection. The Renter also has the possibility of taking out optional Personal Accident Insurance and Baggage cover. The conditions and limitations applicable to the compulsory or optional insurance and covers, as well as those of the Roadside Assistance cover can be found in the Insurance & Assistance brochure attached to the rental agreement. Data Protection - Law of January 6th 1978 : In order to exercise the right of access or of modification, or in order to oppose the communication of data concerning the Renter to external commercial entities, the Renter should write to : Europcar France BP 19 78184 Saint Quentin en Yvelines Cedex. Those drivers who do not appear on the rental agreement can lay no claim to the covers for damage to or theft of the Vehicle. Non-compliance with any of the obligations explicitly set out in the General Terms and Conditions will result in the avoidance of the covers taken out. In that case, the Renters will be liable for the whole cost of the accident in accordance with Common Law of Liability. Insurance - Europcar warrants insurance according to the motor liability insurance policy only to those persons who use the vehicle with Europcar's approval. Europcar is responsible only for the losses or damages suffered by the Renter or third parties concerning the Vehicle or its use if the said losses or damages have been done on purpose or by a flagrant negligence on the part of Europcar. Europcar is not responsible for any other event and the Renter will not attempt to make Europcar responsible for such claims. Damage to the rental Vehicle, Confiscation, theft, conversion or accident - If the Vehicle has been damaged, stolen or has lost all or any of its parts, regardless of the Renter's or a third party's fault, the Renter will be charged with the actual repair cost up to the Vehicle value. If the loss has occurred due to a fault of a third party and Europcar receives compensation for it, the sum paid by the Renter shall be returned to him / her. If the Renter approves conditions of the Collision Damage Waiver and/or Theft Waiver on the first page of the rental agreement, the Renter's responsibility in the event of a damage to theft, loss of the vehicle or of its parts may be limited to the real cost of the repair up to the maximum amount indicated on the rental agreement, on the condition that Renter has not violated any rental conditions set out in the rental agreement. The Renter has the possibility to cancel this liability by approving SCDW (Super Collision Damage Waiver), which cancels Renter's financial liability for Vehicle Damages with the exception of theft and fire. Should the damage be done on purpose, or as a result of a Renter's inability to drive because of the influence of drugs or alcohol, the Renter's responsibility is unlimited. In the event of an accident or a theft the Renter must inform the Police immediately. The Renter has no right to accept the claims of the other side. The Renter should inform Europcar without delay about all damages caused by fire, theft or an accident. Even when minus damages occur the Renter is obliged to deliver a filled accident report together with a situation outline to Europcar. The accident report should especially specify names and addresses of the persons involved and the witnesses of the event as well as registration numbers of the cars involved. Europcar provides car rental services to private individuals and companies. Data collection, processing and implementation enables Europcar to carry out this objective. You are requested to provide us with your name, address, credit card number, e-mail address and phone or fax number. We use this information to confirm and process your booking or enquiry, and for internal purposes. If you hire a car we also save additional information such as your driving licence number, its date of validity, the number of your passport or ID card, your business or private address (Driver-ID) and certain preferences. In the case of some client cards or company contracts between Europcar and other units of a legal or private nature, further information is requested and mentioned in the relevant contracts. Implementation of and passing on of personal data: Europcar uses your data for its own purposes and may pass them on in part to partner companies in Switzerland and abroad to facilitate car rentals. Details (Driver-ID) that are required for rental contracts help us and our partner companies to process the pick-up and return procedures more quickly. Europcar permits public bodies to view the data collected in the face of primary legal regulations. Effective in combination with the General Rental Terms & Conditions in Switzerland.